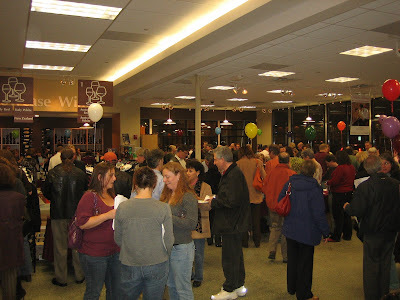 Blanchards Wine & Spirits in West Roxbury, MA is having their Spring grand tasting of over 100 wines this coming Wednesday April 28th, 2010 from 6pm-9pm. Wines poured at the event are 20% off which is pretty compelling given that their everyday pricing isn't significantly marked up. Blanchards is one of my favorite stores in the area and I think this event offers a great opportunity to try a lot of great wines before you buy them. If you happen to run into Steve Grant or Eden Stone be sure to ask for their top picks. I think they've both got really sharp palates and they've got a high batting average with recommendations they've given me in the past. I spent more money at Blanchards than any other wine store in 2009. Find out why and read more about other top Boston-area wine stores here. Here are my notes from a similar event at Blanchards last year. Question of the Day: Are you planning to attend this event?